I had another birthday celebration to go to last week. This is the gift that I made for Michelle. It is a key fob made from our Stampin' Up! Material Spice Cake. I thought loop was too big, so I cut it down some and then after it was cut realized it was supposed to go around your wrist. I told her I owe her another one done right!! Sorry Michelle for the mistake. Hope I can make another one before we see each other again. I also used Chocolate Chip ribbon and some hardware I bought at a sewing store. 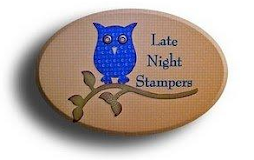 I used the Everday Enchantment DSP #126154 from Stampin' Up! Sale-a-bration 12x12 paper FREE w/a $50 order. I LOVE LOVE LOVE this paper. I also used the tip of the Petite Pennants Builder Punch #122361 16.95 and the "wish big" from the Pennant Parade Stamp Set #122742 (clear) $16.95. Other items used were the candles from the Cupcake Builder punch #121807 and some Calpyso Coral Baker's Twine #125573. I loved how this card turned out. It was 3x3 card. Yes, all that fit on a 3x3 card!! Just showing you that the birthday cake does fan out some from the card. This was the basket that I made to put the gift inside. It is a cute little basket that I saw made at Leadership in San Antonio. It is made from a 6x6 piece of paper, so it is not very big. You can go to this blog for a tutorial. That is it for today! Happy Stamping!! If you click on the word blog in the post, it will take you to the website thelittleblueroom.